I am definitely a girl that likes to window shop. 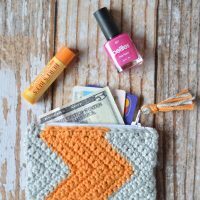 I am a bit of cheapskate, but I like to look at pretty things and fill an imaginary shopping cart with all the stuff I would like to not spend money on but have (I never claimed I wasn’t weird). 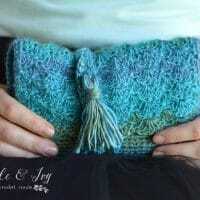 Anyway, when I saw this pretty fringy clutch at Anthropolgie, I decided to make myself one instead! 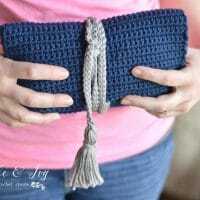 This Crochet Fringe Clutch was way easier than I thought, and turned out so very cute! 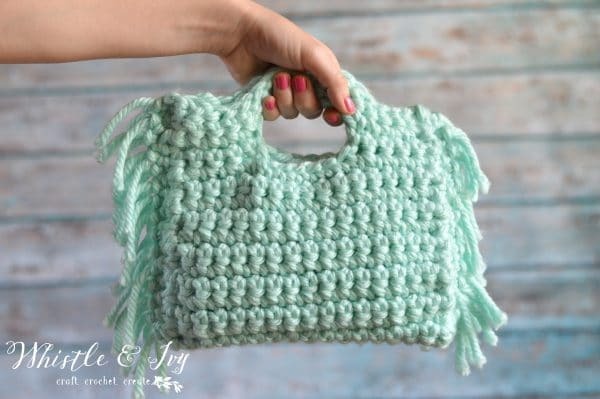 I made mine with super bulky wool/acrylic blend yarn, but T-shirt yarn would be perfect for this bag. I might have to make up another (bummer 😉 ). Construction: Fold the piece in half, lining up the two handles. Sc down the side, sewing the two sides together. Break yarn. Join on other side and sc down. To make the fringe, cut about 30 lengths of yarn (approx. 7 1/2″ long). Attach one piece of fringe to each sc down each side. 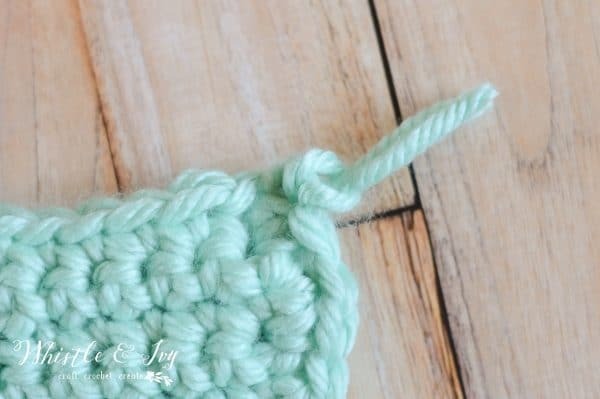 Fold the yarn in half and pull it through the stitch. Then, pull both ends through the loop at the end. Pull tight. Isn’t this so cute? I seriously love quick project with instant gratification. 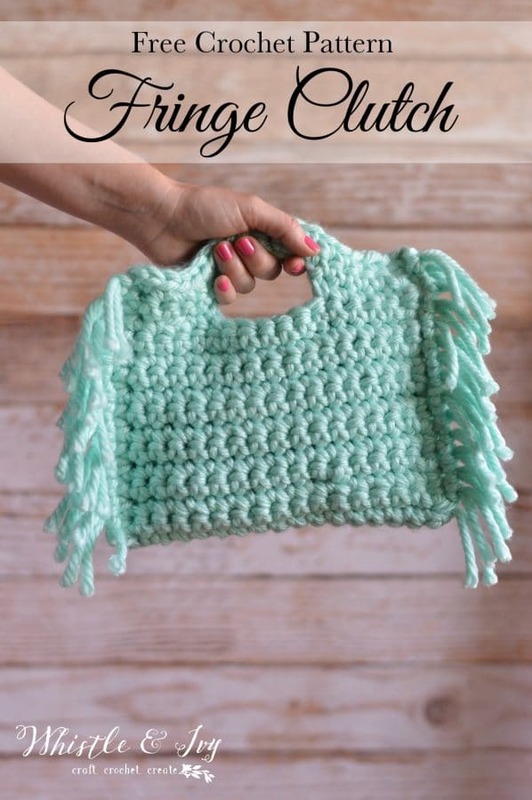 Like this Crochet Fringe Clutch? Subscribe! For step 3 after you chain 1 where do you do the five sc, ch 6? Thank you, would love to try it. hello! You are working across your piece and forming the handle. Work 5 sc in their own stitches, then work the chain, then skip the stitches. This from a hole that will be the handle. Does that make sense? Yes, it does now. Thank you for taking the time to explain it for me. Please let me know if you need help! 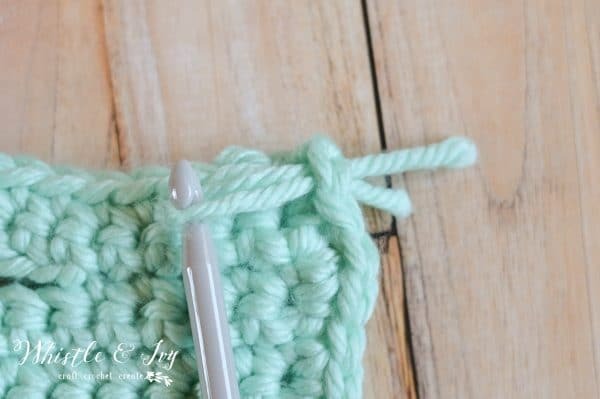 This pattern is great for a beginner, and I can give you any help you need to get through it. 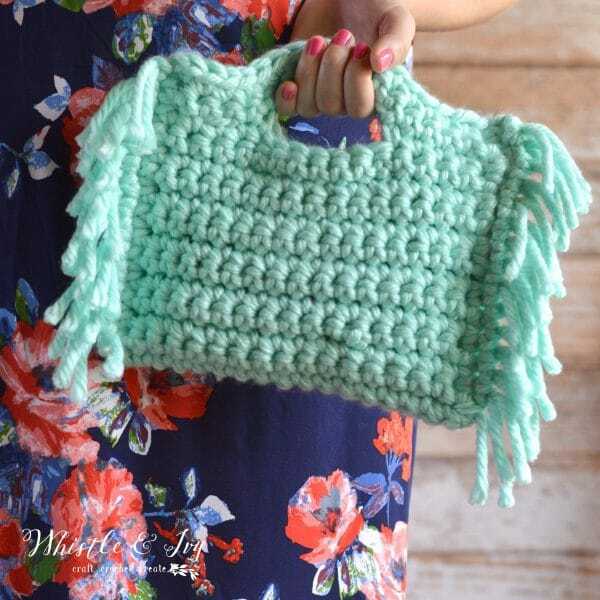 Thank you for another lovely pattern super quick to make. I used the only super chunky I had (and a 12mm hook) it worked up well I thought although not a sophisticated colour! Yay! You are welcome, glad you liked it!